This was my tweet from a few days back. There is no denying (for me) the excitement of a new season of football. Going back to when I started following this crazy sport – at the ripe age of 5 – September represented so many new beginnings, including going back to school, starting a new Soccer season, the coming of Anar (Pomegranate) season, and of course, NFL football. Try as I might have, to “shake it” in favor of less spectator-oriented and more participative activities, so far, no luck. So instead, I have turned my passion for football into a source of inspiration and comprehensive knowledge base. Football serves as a useful microcosm for team building, business decisions-making (ie. drafting), financial management (ie. salary caps, player-agent-team negotiations), marketing (ie. ticket promotions, websites, social media), motivation, will power, egos, leadership, defining moments (ie. “The Catch”), struggle (ie. injuries), the ups and downs of life (ie. wins & losses), and more. In this section of March Fourth, I will share some insights and observations from the World of Sports, with a particular focus on the NFL, because that has been my main vehicle as a spectator. As a player – of Soccer and Tennis mainly – there will be different, more experiential stories to share. This is going to be fun, for me. I have always been kind of a Master of Ceremonies, when it comes to games, sports and activities – just ask my childhood friends. If there wasn’t a game to play, I would invent one, and before long, everyone would be playing it. I’ve even turned some of that creative energy into a business venture (private, for now). I always encourage friends, family and everyone I know to stay fit, healthy and participate in some kind of sports or fitness activities. So this is part of who I am. Bringing it back to the NFL, this strange but strong connection that I have to the game is worth further exploration. I am happy to share what I know, think and draw inspiration from, about this game. Lately, with Bounty Gate, player suicides and increased awareness of brain injuries (like ALS, see Steve Gleason’s Story), there are some worthwhile debates about the sport, how it is played, safety issues and ethical issues. I recently started a Pinterest Board called “Motivation / Sports”, where I will be pinning and sharing iconic imagery from great moments and athletes who have inspired me, and millions of others. Project Objectivity is about moving away from identifications and towards a place of neutrality. Explore your connections and affiliations (ie. sports teams, other non-human attachments and preferences). I’ll cover and share whatever I am able to, and feel that my perspective can shed some light on the issues at hand. 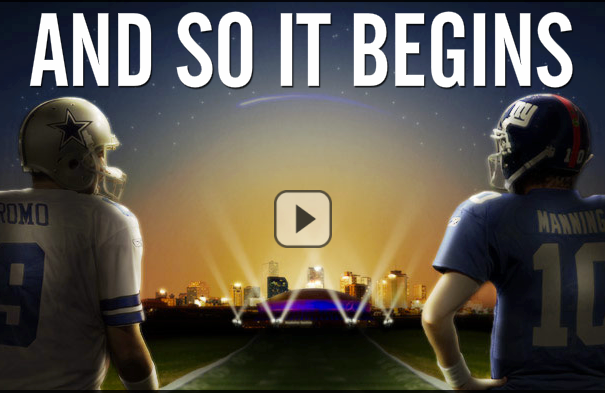 For now, the 2012 Season is upon us, having already kicked off with Cowboys vs. Giants on Wednesday night. Tomorrow, we have the first NFL Sunday of a “Lucky” 21-Week Season (that is, including Playoffs). And for the curious, in full disclosure, “Yes”, I do pick games (for fun, of course 😉 to test my knowledge. Like everything else in my life, it is something I measure, analyze and (try to) optimize over time. Maybe at some point, I will start sharing my methodologies for that as well. It’s not the right time yet. To all you fans and fantasy sports GMs out there, enjoy NFL 2012! ← Have You Heard About Mystery Island?